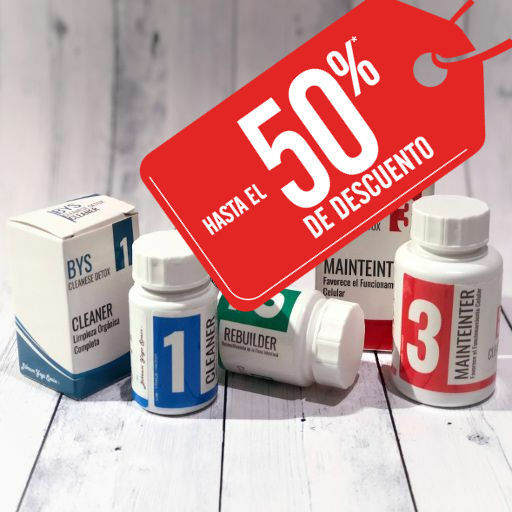 BYS Cleanese Detox is a product of Bikram Yoga Spain ©. Conceived by Yoga professionals and created by nutritionists and laboratories in the UK. 1 – Cleaner Detox A powerful digestive stimulator to eliminate toxins that our body absorbs from food and pollution. 2 – Rebuilder A complete restorative after cleansing detox. Strengthens and recovers your intestinal flora, strengthens your immune and digestive system. 3 – Manteiner Vitamin and antioxidant supplement, cell stimulator to continue eliminating toxins and strengthen hair, nails, tone muscles and anti-aging effect on the skin.